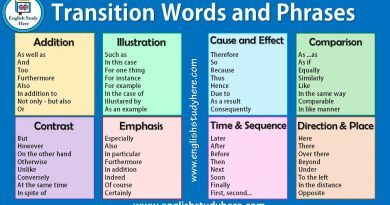 There are various ways to express the purpose or reason in English. Two of them are “So That” and “In Order That”. We use both of them as a conjunction ( subordinating conjunction ) to introduce clauses of reason and explanation. We can say that they are used to explain why an action is done. The clause after these conjunctions generally includes a modal ( like can, could, may, might, will or would ). 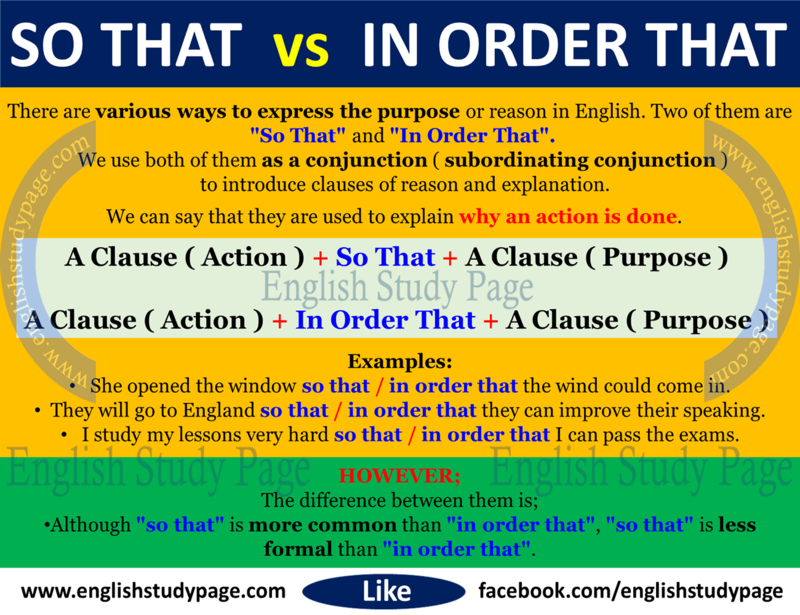 Although “so that” is more common than “in order that”, “so that” is less formal than “in order that”. We can leave out “that” after “so”. 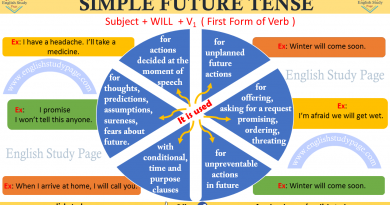 When we are talking about the future, we can use both simple present tense or will after “so that”. 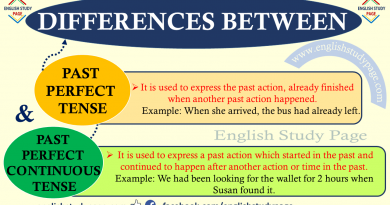 However we generally use simple present tense after ” in order that”. She opened the window so that / in order that the wind could come in. They will go to England so that / in order that they can improve their speaking. I study my lessons very hard so that / in order that I can pass the exams. We got up early so that / in order that we would not be late for the meeting. She wants to study at a good university so that / in order that she can find a good job with a high salary. We left a message with her secretary so that / in order that she would know we have come. My son went to bed early yesterday so that / in order that he could get up on time this morning. I am cutting the cake into many pieces so that / in order that everyone can get a piece. He decided to stay at home so that / in order that he could watch the match on TV. It is too late so that / in order that we can not marry. They are studying English every day so that / in order that their english can improve.